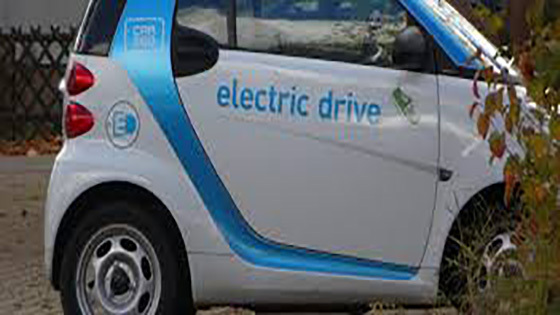 The state-owned Energy Efficiency Services Ltd will procure 10,000 electric vehicles from Tata Motors Ltd in two phases. 500 vehicles will be supplied by November 2017 in the first phase. This step is seen as a major step towards making a significant shift towards electric vehicles by 2030. Five more States viz., Madhya Pradesh, Maharashtra, Chattisgarh, Jharkhand and Haryana have reached the milestone of making all cities and towns ‘Open Defecation Free’ as the Swacch Bharat Mission completed three years. This was announced by the Minister of Housing and Urban Affairs Shri Hardeep Singh Puri while speaking at a programme on the occasion of the third anniversary of the mission. The Minister also stressed on the need for ‘lifestyle change’ to realise the objective of Swacch Bharat as envisioned by Prime Minister Shri Narendra Modi. The latest Sample Registration Survey data shows a major 8% decline in the Infant Mortality Rate in India in 2016, from 37 per 1000 live births (2015) to 34 per 1000 live births (2016). The gender gap between mortality rates has also come down to below 10%, indicating a positive impact of the ‘Beti Bachao Beti Padhao’ scheme. Although, the divide between IMR in rural and urban India remains, with rural India seeing more infant deaths. The President of India declared rural Gujarat open defecation free on the 2nd of October. On the occasion, tribute was paid to the Father of the Nation and the achievement associated to him and his vision of clean India. Union Minister of Social Justice and Empowerment, along with the Minister of State, around 5000 participants and other dignitaries participated in the walkathon organised at India Gate, marking the International Day of Older Persons on 2nd October. The commitment of the government to promote the welfare of senior citizens, in the light of various schemes being run for their benefit, was highlighted. Such form of a mass awareness campaign is being organised since 2005 at India Gate on this day. India has avoided about 1 million (10 lakh) deaths of children under age five since 2005, owing to the significant reductions in mortality from pneumonia, diarrhoea, neonatal infections and birth asphyxia/trauma, measles and tetanus, according to study published in the latest issue of The Lancet.The ‘India’s Million Death Study’, implemented by the Registrar General of India, is the first study to directly quantify changes in cause-specific child deaths in India, nationally and sub-nationally, from 2000-15 among randomly selected homes. The President of India has formally appointed a commission to look into the sub-categorisation of OBCs, in keeping with the aim to extend benefits of reservation to the more deserving people in the OBC category. The Commission, headed by Justice (Retd.) G Rohini is to submit its report within 12 weeks of the chairman assuming her charge. The National Highways Authority of India is slated to generate employment of approximately 500 million days in the next four years. This will be made possible by the construction of highways covering a distance of approximately 50,000 km. Seasonal employment opportunities for skilled and semi-skilled labour force will be created, in consultation with the Department of Skill Development and Entrepreneurship. India will jointly host the Global Wildlife Programme (GWP) with World Bank and United Nations Development Programme. The programme was launched on October 2. The GWP will address issues related to illegal wildlife trade across 19 countries in Asia and Africa. It will act as a platform to exchange knowledge and coordinate in on-ground action for combating illegal poaching of wildlife and improve governance on wildlife conservation. Ministry of Culture and its 43 organisations observed Swachhta Pakhwada and Swachhta hi Seva Abhiyaan from 16th September to 2nd October 2017. During this campaign close to 400 activities/events were organised by the Ministry and its organizations by dedicating more than 500 effort hours for cleanliness and awareness during Swachhata Pakhwada. Various autonomous, attached and subordinated organisations under the ministry undertook various activities such as Shramdan by staff (cleanliness drive), lectures, seminars, competitions, Nukkad Natak and painting exhibitions with an objective of dissemination of the message of Swachh Bharat widely. The Chairman of National Highways Authority of India Shri Deepak Kumar launched a world-class, a new multilingual website of the organization today. He said that within two months it will be possible for the general public to rate National Highways through this website. He also launched a Project Monitoring Information System (PMIS) Moblie App that will facilitate close, in-house monitoring of NHAI projects on a mobile phone. Shri Deepak Kumar said that the NHAI also plans to soon launch a public interface of the PMIS desktop and App versions so that the general public will be able to view the real-time status of any project across the Highway network. Ministry of Tourism has launched the ParyatanParv ” celebrations countrywide on 5th October. ‘Paryatan Parv’ activities began with the flagging of the cycle rally by Smt. Rashmi Verma, Secretary, Ministry of Tourism from India Gate, New Delhi to Qutab Minar. Approximately 80 cyclists from across Delhi including members of tourism Industry Stakeholders, officials from central Ministries, doctors, teachers, students participated this rally. The other activities in the capital included a Guided Heritage Walk at Humayun’s Tomb & painting competition for children etc.